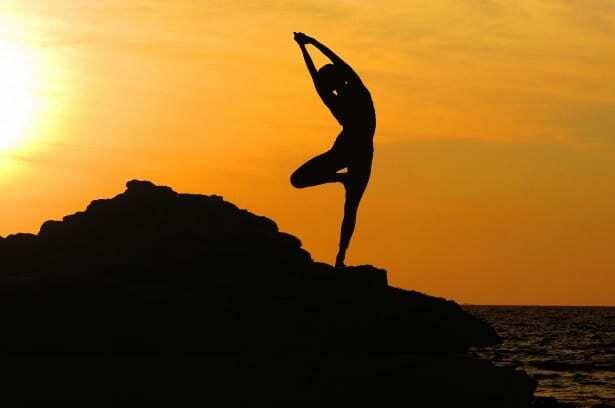 As you know, here at Organic Fit, we are all about holistic living because, well, everything is connected, mind, body and soul. With that being said, we would like to address mindful fitness and how powerful it is for your body and well being. Our bodies have a lot of moving parts. Our minds are capable of a lot of different emotions and perceptions. This triggers reactions in our muscles, tendons, ligaments and so on that can either be good or bad. When people throw themselves into workouts without being conscious of all the moving parts in their bodies and without considering how it is affecting them, it can lead to injury and less positive results. Thankfully, there has been recent light shined on the topic of mindful fitness within holistic living. However, do you know just how important it is? When you become more aware of your body, it builds inner resilience to handle stress, which unlocks elevated performance levels. Essentially, mindfulness training can grow the inner capacities of distress tolerance, present-moment awareness, and acute focus to fuel results. So, what is mindfulness? It is about grasping an awareness of the present moment, intentionally and without judgment. A study in the Journal of Health Psychology recently found that individuals who practice mindfulness meditation techniques were more motivated to exercise regularly and were more satisfied with their workouts. In other words, being present in the moment, rather than ruminating on past events or future plans, allows us to tap into inner resources such as motivation and satisfaction. We are almost hard-wired to be constantly busy. Many are taught from a young age that to be successful, they have to keep themselves busy. This goes for our minds as well. Humans have about 60,000 to 80,000 thoughts per day, and about 70 percent of those thoughts are negatively focused. It makes sense that these negative thoughts fuel our day to day performance, including in fitness. That is why it is vital to allow periods of mental pausing before we begin a workout. By doing this, we are creating space to align with intentions and stay positive. Try setting an intention before you begin your workout. What is your goal for this specific workout? Notice how you feel as you step onto the treadmill or lift a weight. Think about how each of your moving parts moves as you perform each step of the workout and how you can improve your form to fully benefit from the move. Mindfulness does not mean having zero thoughts. It’s about allowing thoughts to come and go without judgment and while focusing on the present. It’s about cultivating awareness. If we can address the negative thoughts we have about ourselves and accept who we are, we can shift our belief system to embrace our true abilities. Studies have shown that mental practice can be almost as effective as physical training. You have to picture yourself at the end of your workout feeling accomplished and powerful. Knowing this, you realize it’s important to begin to visualize yourself achieving fitness goals. When we tap into the feelings that support our goal, we create beneficial conditions to make the goal a reality. Make sure you are enjoying yourself. When we’re working out, we often think that it must be miserable because it’s hard and working out shouldn’t be enjoyed. It is truly sad that this was once a common idea about fitness. The truth is, there are so many different ways to “work out”. Fitness can incorporate so many wonderful aspects of life. When you align with the friendship, love, and your passions, you will find that you truly enjoy being active and fit. At this moment, mindfulness and joy naturally arise. Go on hikes with your friends. Try picking surfing, rowing, or rock climbing. Go to a fitness dance class at your gym. Make it what you want it. Whatever you may choose, before any workout, be sure to drop into the body using mindful breathing and align with your inner intention connected to the activity of choice. In this place of embodied presence, you ignite the power of performance. Through this, we find human power beyond what you thought your body was capable of. Every human body is amazing and resilient. Have fun with it and see what you can do with it in a mindful way! Organic Fit is your hub for valuable information that will help you on your health journey, no matter where you are in the process. We help people get to know what their bodies need to live happy and healthy lives. Welcome, we are excited you are here.